Are your spring flowers toxic to your pets? While there are thousands of species of plants and flowers, only a small percentage of plants are truly dangerous and poisonous to your pet. Make sure you know which plants are most deadly to avoid your dog or cat from getting into these poisonous flowers and poisonous plants! 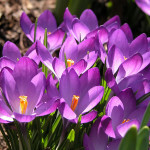 There are two Crocus plants: one that blooms in the spring (Crocus species) and the other in the autumn (Colchicum autumnale). The spring plants are more common and are part of the Iridaceae family. These ingestions can cause general gastrointestinal upset including vomiting and diarrhea. These should not be mistaken for Autumn Crocus, part of the Liliaceae family, which contain colchicine. The Autumn Crocus is highly toxic and can cause severe vomiting, gastrointestinal bleeding, liver and kidney damage, and respiratory failure. If you’re not sure what plant it is, bring your pet to their veterinarian immediately for care. Signs may be seen immediately but can be delayed for days. 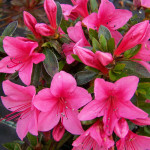 In the same family as rhododendrons, azaleas can have serious effects on pets. These plants contain grayanotoxins which disrupt sodium channels affecting the skeletal and cardiac muscle. All parts of the plant are considered poisonous, and as little as ingestion of 0.2% of an animal’s body weight can result in poisoning. Eating even a few leaves can result in vomiting, diarrhea and excessive drooling; without immediate veterinary attention, the pet could fall into a coma and possibly die. The overall prognosis is fair with treatment. 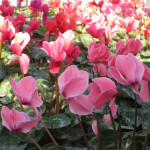 The cyclamen is a beautiful houseplant commonly sold in supermarkets. It is also called the Persian violet and Sowbread. Cyclamen contains irritating saponins, and when any part of the plant (especially the tubers or roots) are chewed or ingested by dogs and cats, it can result in clinical signs of drooling, vomiting and diarrhea. With large ingestions, these plants can result in cardiac problems (e.g., abnormal heart rate and rhythm), seizures and death. These flowers contain lycorine, an alkaloid with strong emetic properties (something that triggers vomiting). Ingestion of the bulb, plant or flower can cause severe vomiting, diarrhea, abdominal pain, and even possible cardiac arrhythmias or respiratory depression. 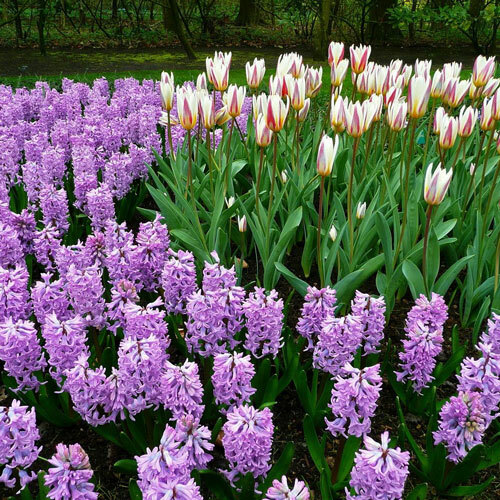 Crystals are found in the outer layer of the bulbs, similar to hyacinths, which cause severe tissue irritation and secondary drooling. 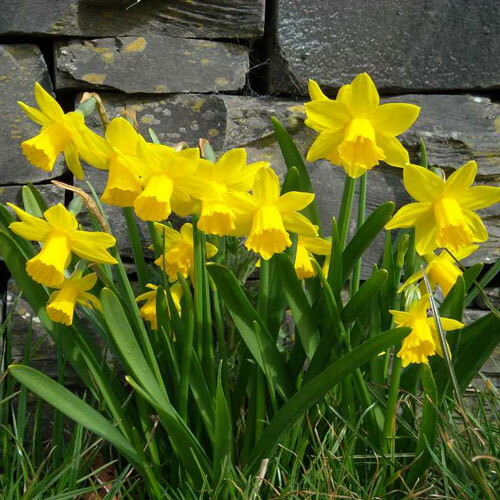 Daffodil ingestions can result in more severe symptoms so if an exposure is witnessed or symptoms are seen, we recommend seeking veterinary care for further supportive care. 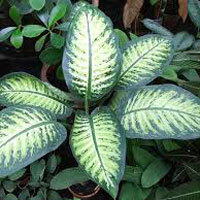 Popular in many homes and offices, Dieffenbachia species contain insoluble crystals of calcium oxalate called raphites. Chewing or biting into the plant releases the crystals which penetrate tissue resulting in injury. When dogs or cats ingest insoluble calcium oxalate-containing plants, clinical signs may be seen immediately and include pawing at face (secondary to oral pain), drooling, foaming, and vomiting. Moderate to severe swelling of the lips, tongue, oral cavity, and upper airway may also be seen, making it difficult to breathe or swallow. Kalanchoe is a common, beautiful houseplant with hundreds of flowers (which range from yellow, red, pink, etc.). 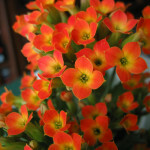 All parts of the plant are generally considered toxic – even the water in the vase has been reported to cause toxicosis. Clinical signs from ingestion include cardiovascular signs (e.g., abnormal heart rhythm and rate), electrolyte abnormalities (e.g., a life-threatening high potassium level), gastrointestinal signs (e.g., nausea, drooling, vomiting, etc. ), or central nervous system signs (e.g., dilated pupils, tremors, seizures). In severe cases, an expensive antidote, digoxin-specific Fab fragments, can be used for severe, life-threatening cases. 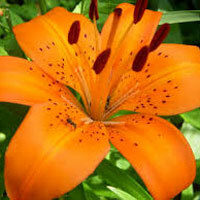 There are dangerous and benign lilies out there, and it’s important to know the difference. Peace, Peruvian, and Calla lilies contain oxalate crystals that cause minor signs, such as tissue irritation to the mouth, tongue, pharynx, and esophagus – this results in minor drooling. The more dangerous, potentially fatal lilies are true lilies, and these include Tiger, Day, Asiatic, Easter and Japanese Show lilies – all of which are highly toxic to cats! Even small ingestions (such as 2-3 petals or leaves) can result in severe kidney failure. If your cat is seen consuming any part of a lily, bring your cat (and the plant) immediately to a veterinarian for medical care. The sooner you bring in your cat, the better and more efficiently we can treat the poisoning. Decontamination (like inducing vomiting and giving binders like activated charcoal) are imperative in the early toxic stage, while aggressive intravenous fluid therapy, kidney function monitoring tests, and supportive care can greatly improve the prognosis. Oleander is an outdoor shrub, popular for its evergreen qualities and delicate flowers. All parts of the plant are generally considered toxic – even the water in the vase has been reported to cause toxicosis; however, the leaves and flowers are extremely toxic if ingested and can cause severe vomiting, slow the heart rate and possibly even cause death. 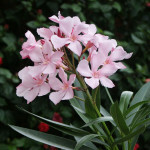 Very popular in warmer climates, this household and outdoor plant can be very harmful to pets. All parts of sago palm are considered poisonous, with the seeds (nuts) being the most toxic part of the plant. 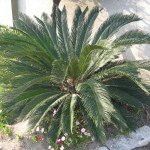 Sago palm contains cycasin, which is the primary active toxic agent resulting in severe liver failure in dogs. Ingestion results in acute gastrointestinal signs (e.g., drooling, inappetance, vomiting, diarrhea) within 15 minutes to several hours after ingestion. Central nervous system signs (e.g., weakness, ataxia, seizures, tremors, etc.) and severe liver failure can be seen within 2-3 days post-ingestion. 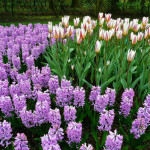 Tulips contain allergenic lactones while hyacinths contain similar alkaloids. 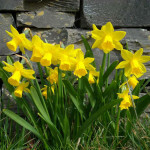 The toxic principle of these plants is very concentrated in the bulbs (versus the leaf or flower), so make sure your dog isn’t digging up the bulbs in the garden. When the plant parts or bulbs are chewed or ingested, it can result in tissue irritation to the mouth and esophagus. Typical signs include profuse drooling, vomiting, or even diarrhea, depending on the amount consumed. There’s no specific antidote, but with supportive care from the veterinarian (including rinsing the mouth, anti-vomiting medication, and possibly subcutaneous fluids), animals do quite well. With large ingestions of the bulb, more severe symptoms such as an increase in heart rate and changes in respiration can be seen, and should be treated by a veterinarian. These more severe signs are seen in cattle or our overzealous, chowhound Labradors. This is only a partial list of poisonous plants. For a more complete list of plants poisonous to cats and dogs, visit the Pets Poison Helpline website. If you suspect your pet has ingested any of these items or any other questionable substance, call Warrnambool Veterinary for assistance. Accurate and timely identification of the suspected substance is very important. Having the container, package, or label in hand will save valuable time and may save the life of your pet.